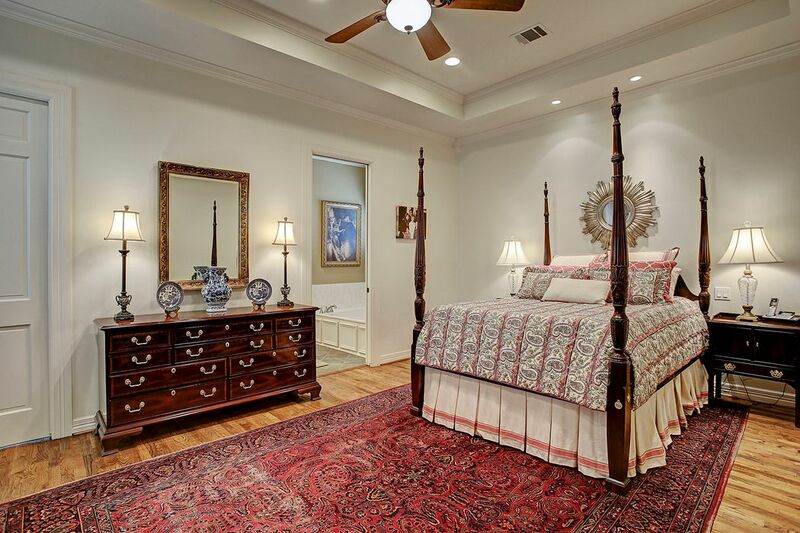 619 E 8th 1/2 Street, Houston, TX 77007 | Martha Turner Sotheby's International Realty, Inc. 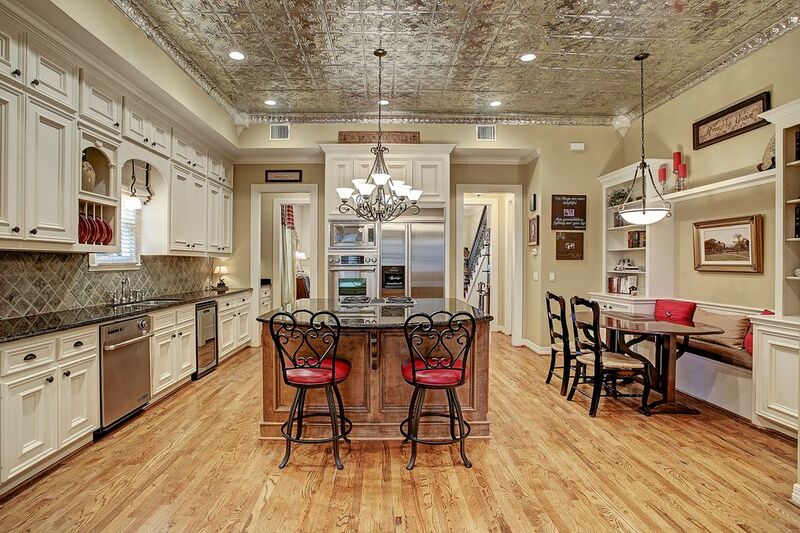 Welcome to your new home at 619 E 8 1/2 Street. Thee is a extra parking spot for visitors in the front of the home. The front yard is enclosed by a wrought iron fence and it features a power lock gate. 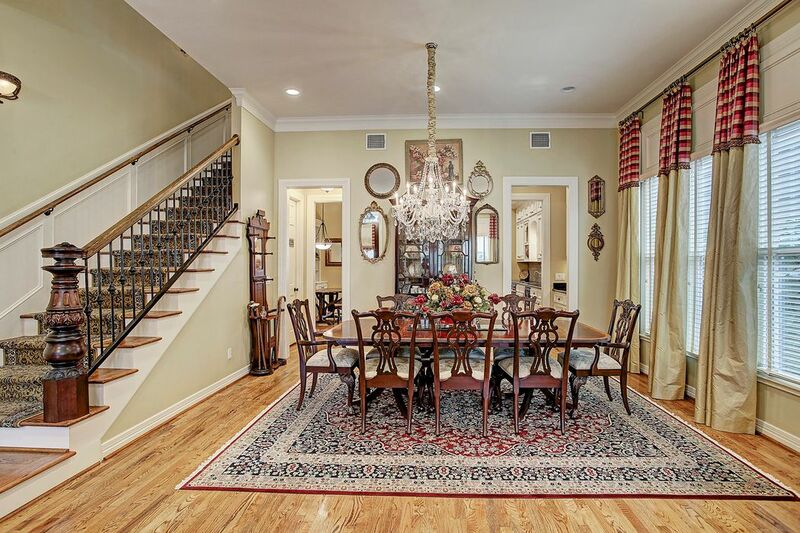 Large living room is connected to the formal dining room. 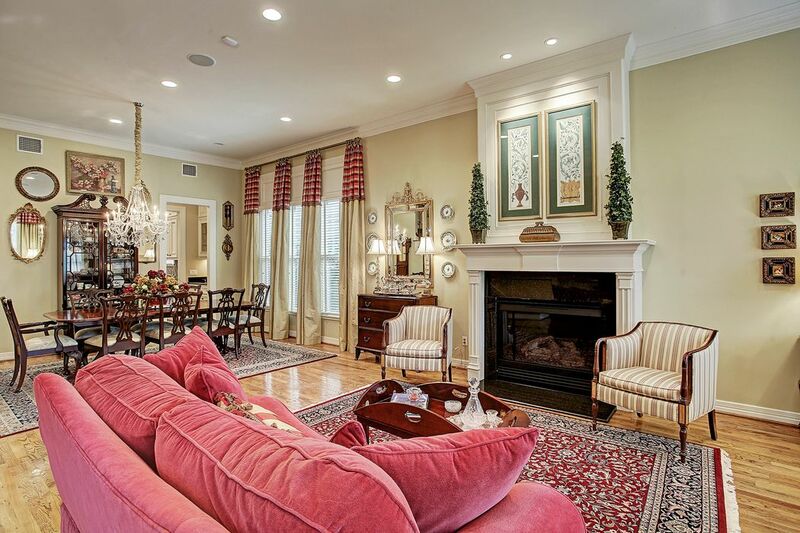 The formal living room features a gas log fireplace. There is an abundance of natural light. 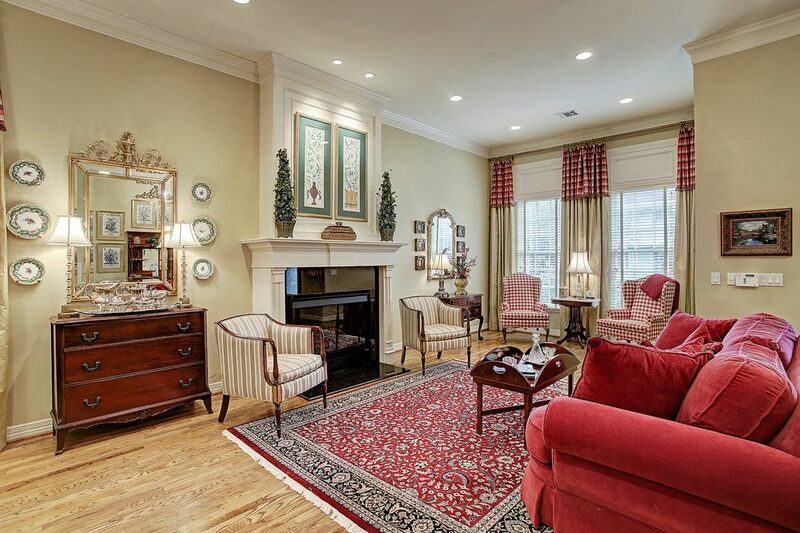 The formal living room has plenty of room for a large dining room table. Easy access to the butler's pantry and kitchen. 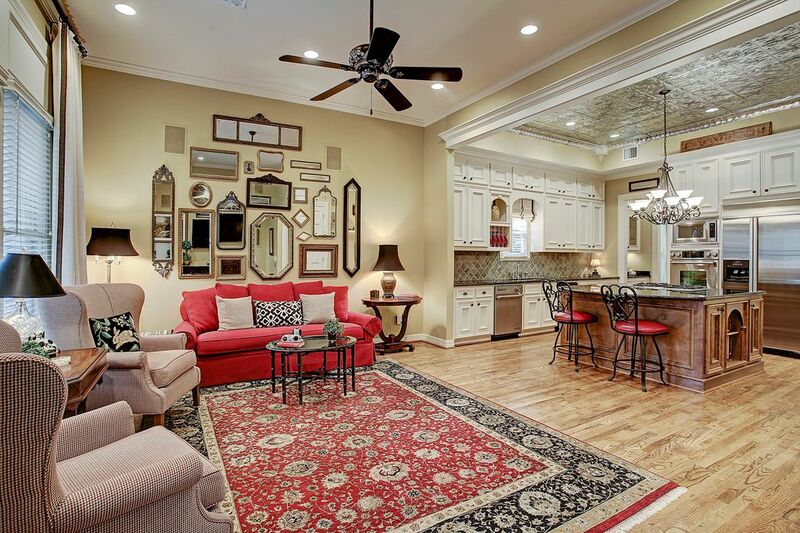 This open floorplan is ideal for entertaining. 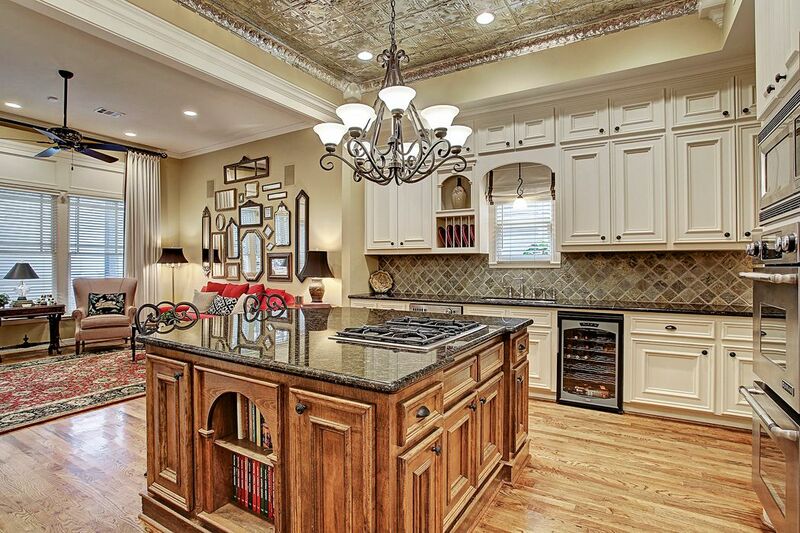 Large gourmet kitchen opens into the family room. 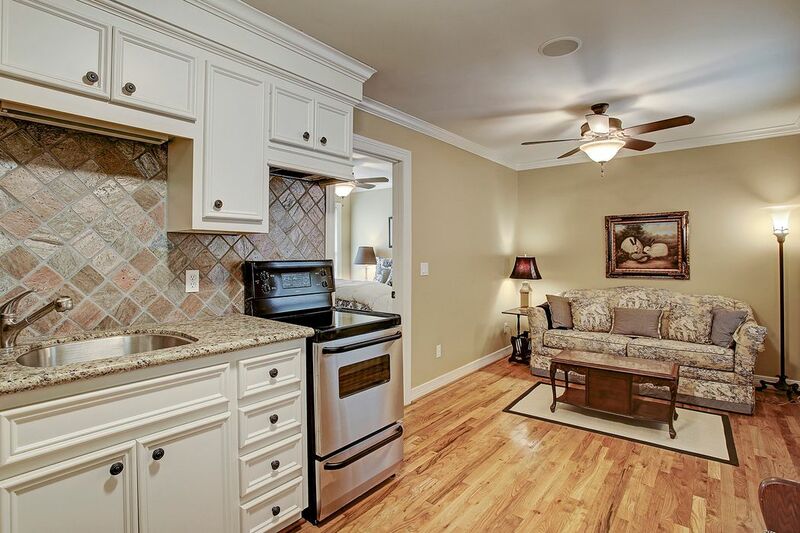 Kitchen features large island, s/s appliances, granite countertops, and double ovens. 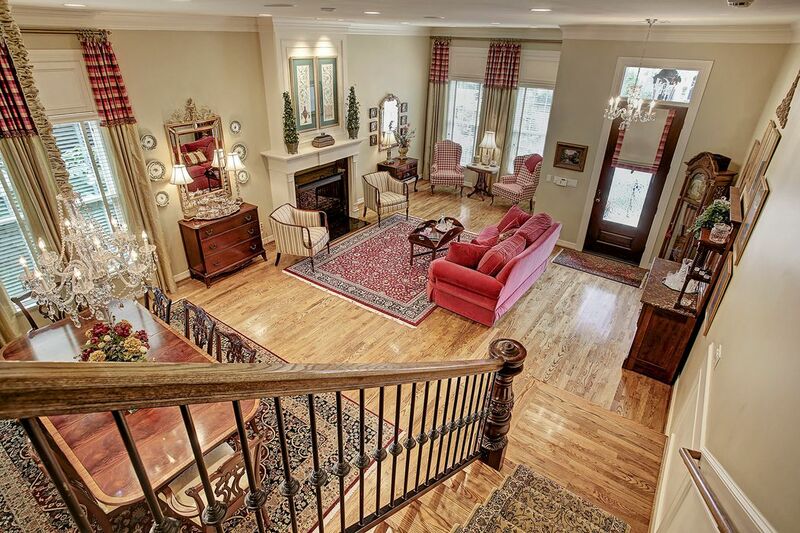 Large family room overlooks the backyard patio. 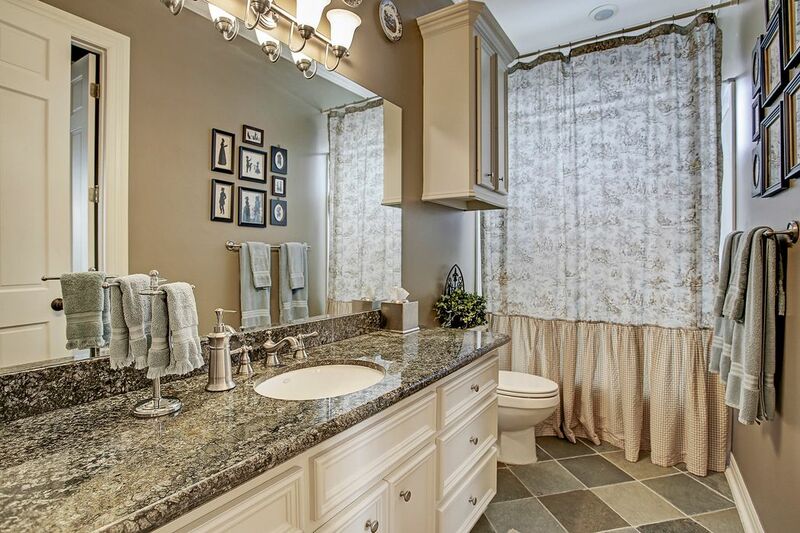 Half bath is located in the hall between the kitchen and formal dining room. Seller installed an elevator for easy access to the 2nd floor. 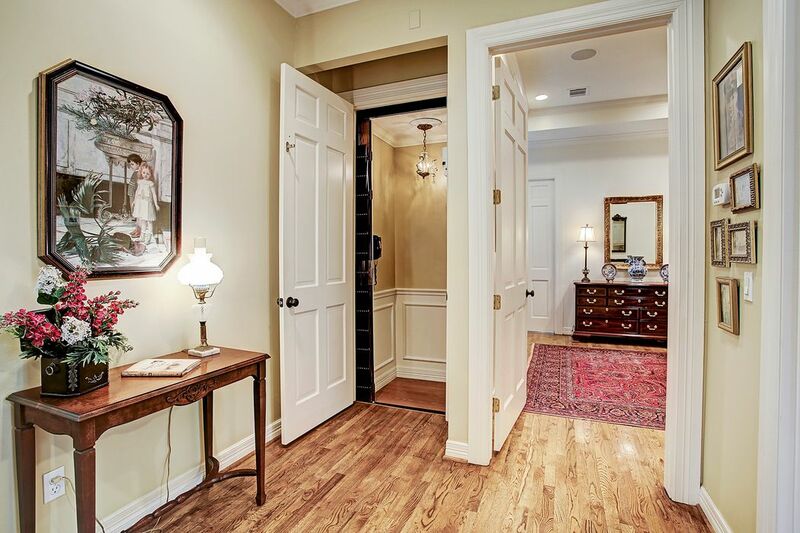 The elevator is conveniently located next to the master bedroom. Oversized master bedroom with a sitting area. 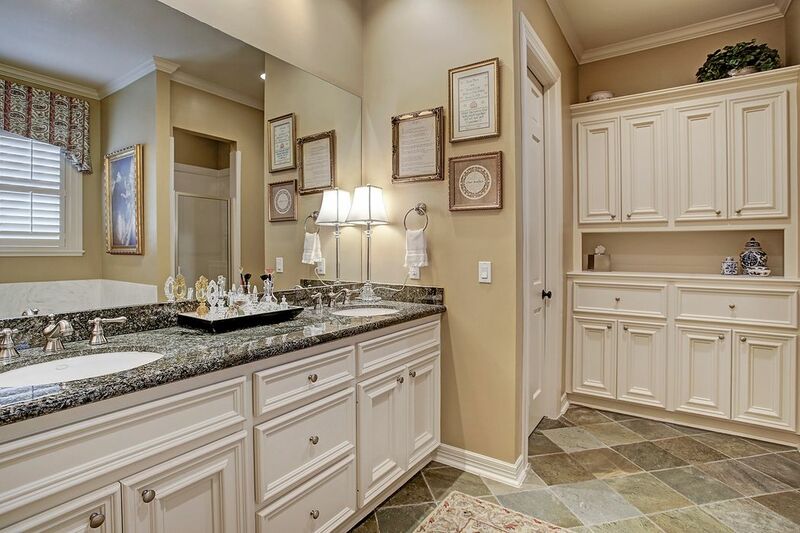 Spa-like master bath features double sinks, whirlpool tub, and separate shower. 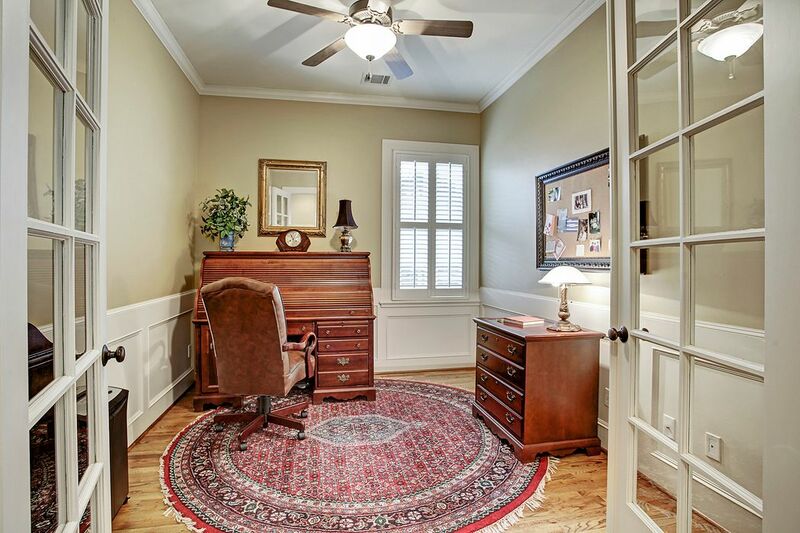 Upstairs study features French door. This secondary bedroom has a walk in closet. Large secondary with a separate sitting area. It connects to the secondary bathroom upstairs. Sitting area that is connect to secondary bedroom. 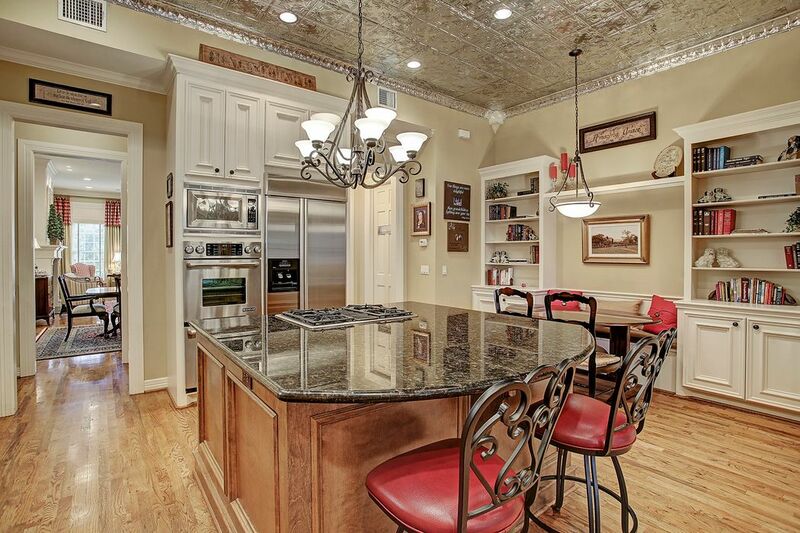 This home has a separate guest quarters above the garage. 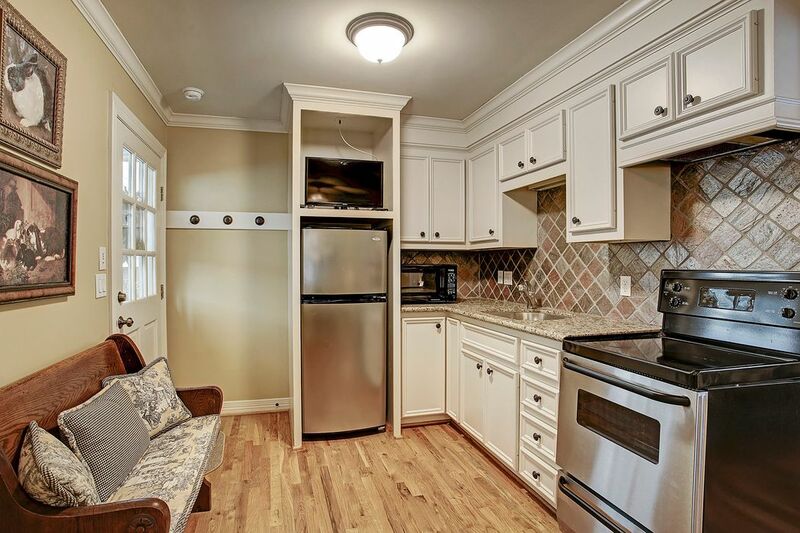 It has its own kitchenette and living space. There is plenty of room for a small dining table. The bedroom in the guest house. Quiet and private patio between the main house and garage. 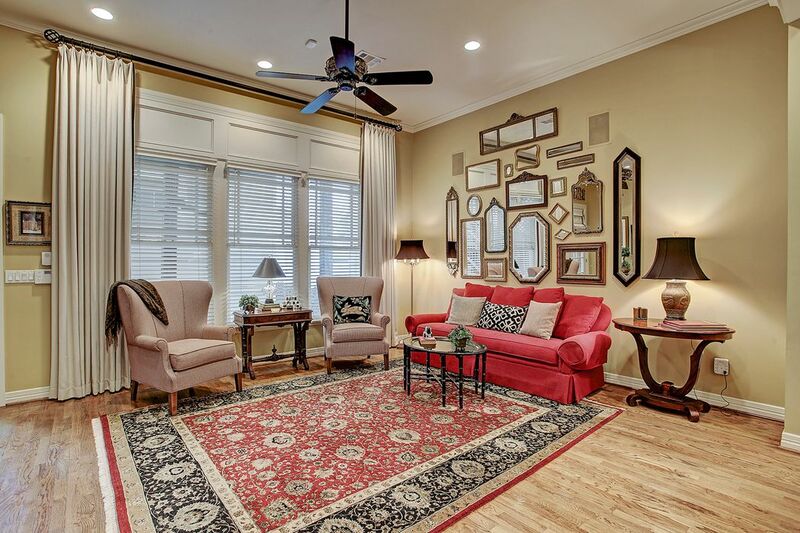 $979,900 3 Bedrooms2 Full / 1 Partial Baths3,430 sq. 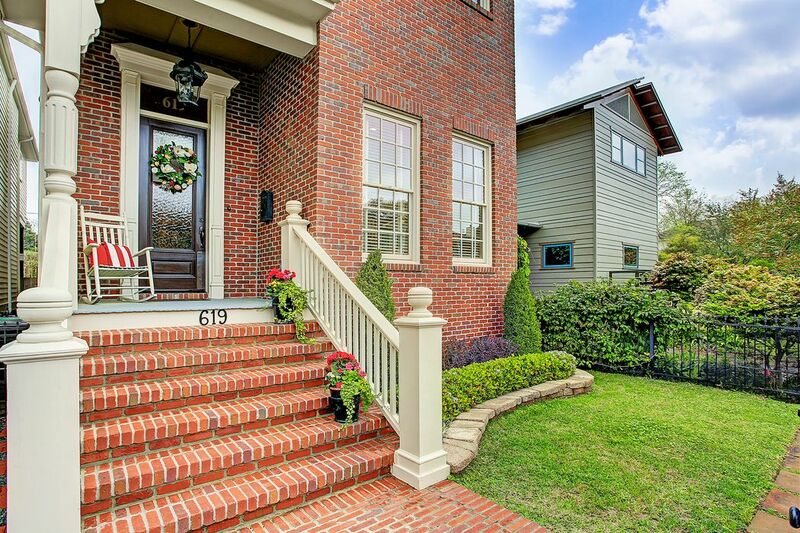 ft.
Nestled in the heart of the Heights sits 619 E 8 1/2 street. 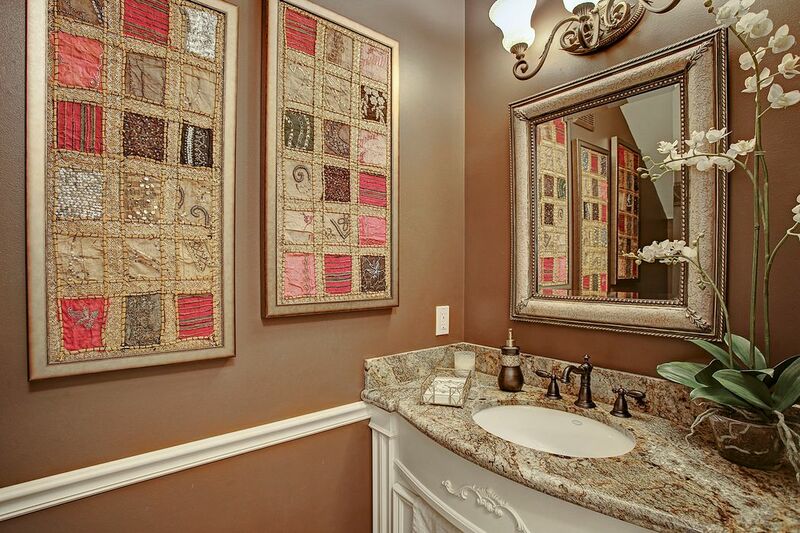 This home features 3 bedrooms/ 2.5 baths plus a study. Downstairs floorplan includes a gourmet kitchen with granite counter tops, s/s appliances and a abundance of cabinets. 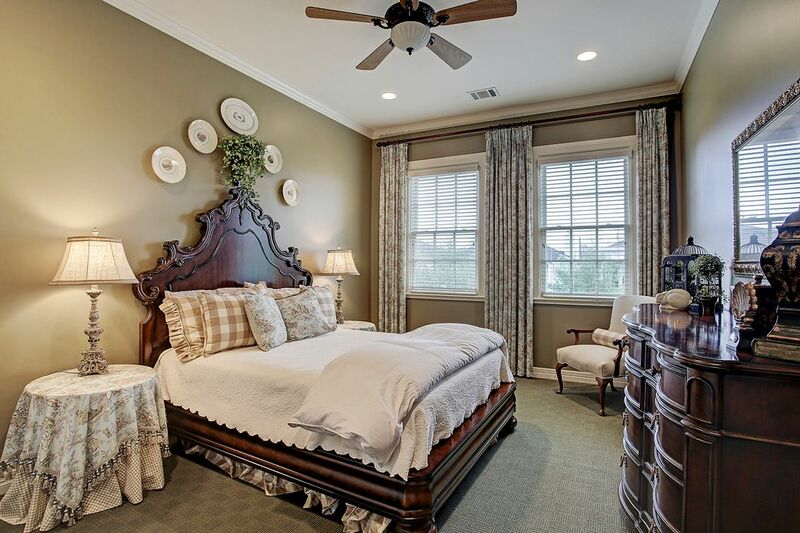 Large rooms w/ an abundance of natural light. 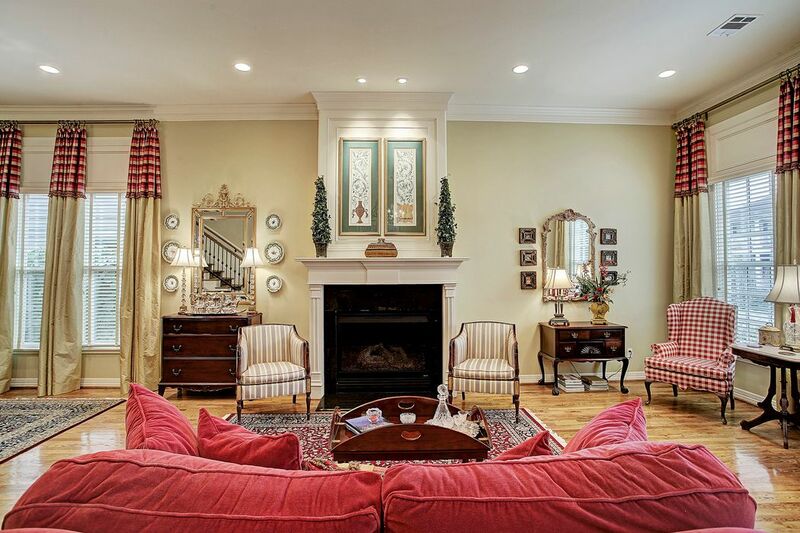 Relaxing living room features a gas log fireplace and connects with the dining room. 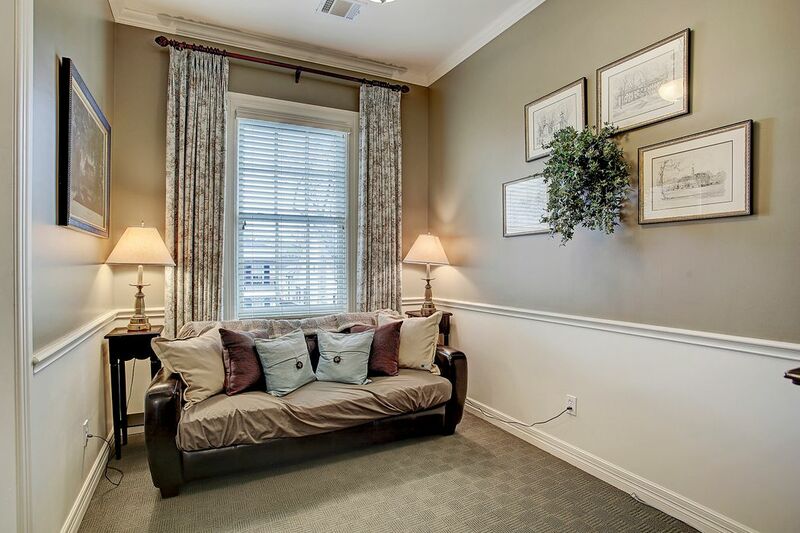 The study w/french doors is located on the 2nd floor makes for the perfect office. 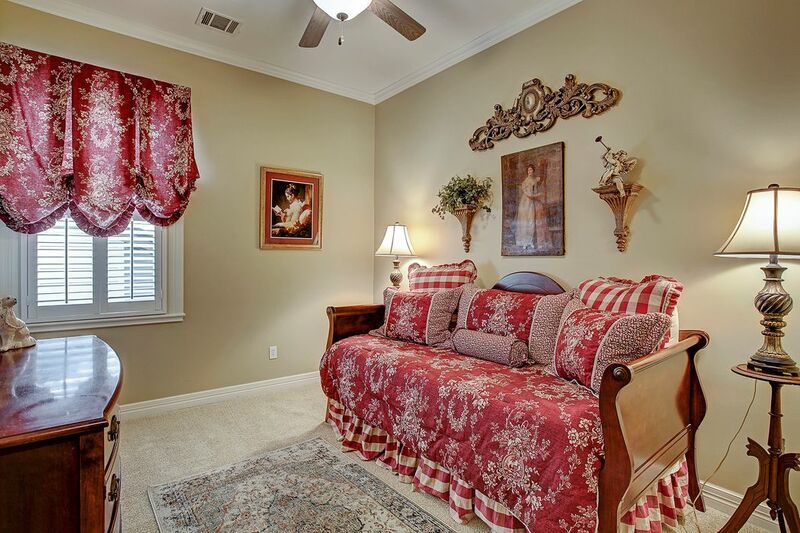 Upstairs master suite has a sitting area, walk-in closet, spa-like bath with double sinks, whirlpool tub and separate shower. 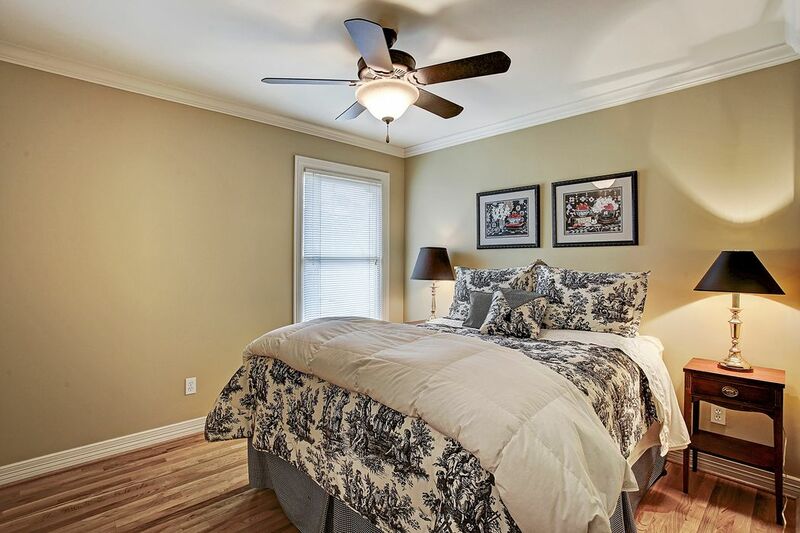 The front secondary bedroom has a separate living space. The garage apartment features a kitchenette, sitting area and a separate bedroom. 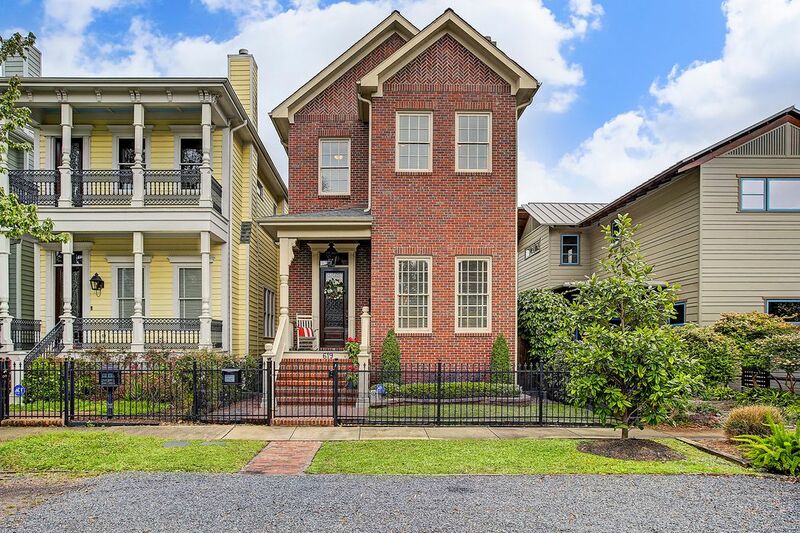 This home has a front yard enclosed by a wrought iron fence. 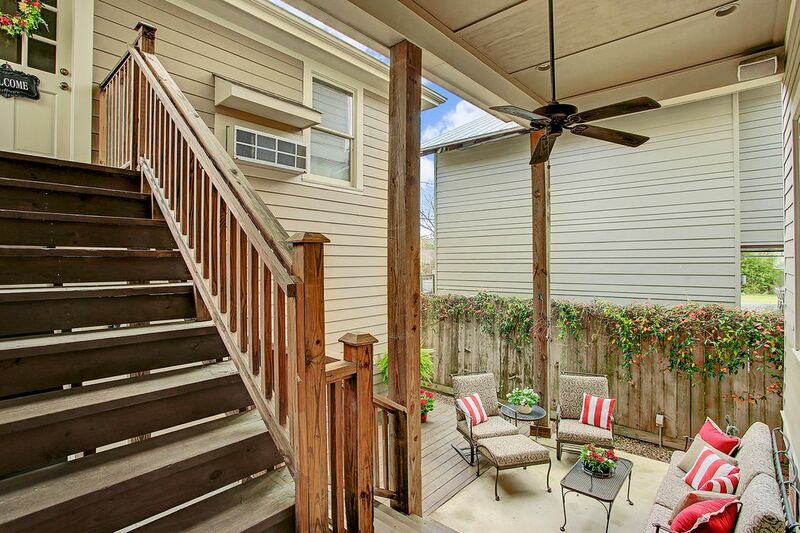 Small back patio is secluded and private. 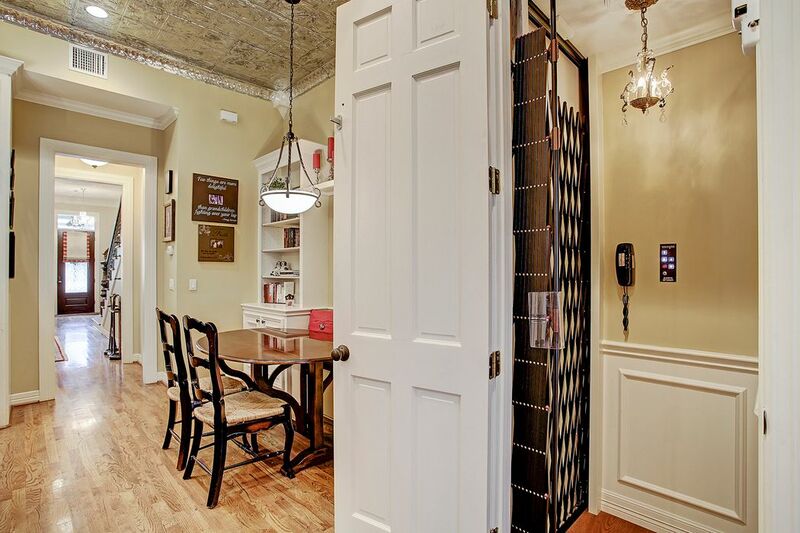 Seller installed an elevator for easy access to the 2nd floor. The front features an additional parking spot for visitors. 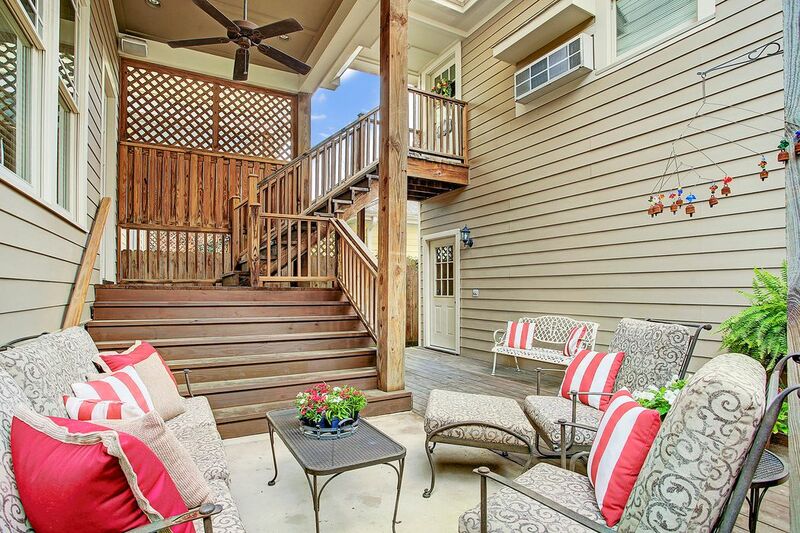 Easy access to local shops, parks and restaurants.